Tete, capital of the Tete Province, is located on the Zambezi River and is the site of one of the four bridges that cross it. 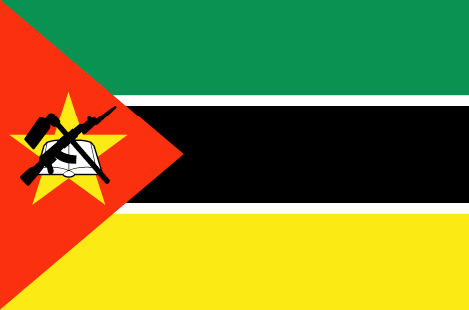 Tete city is one of the hottest parts of Mozambique as it lies on a plateau 500 metres above sea level. It is the trade centre of the region and has more than 100,000 inhabitants. In the province of Tete, severe droughts often destroy the harvests of the whole region. The SOS Children's Village Tete is situated along the main road leading from Zimbabwe to Malawi. It has been in operation since October 1987 and the official opening ceremony took place on 16 May 1989 in the presence of the Mozambican minister of education and Helmut Kutin, president of SOS-Kinderdorf International. The SOS Children's Village Tete comprises fifteen family houses, a house for the village director, a workshop, an administrative building, a small clinic, training rooms for basket weaving, shoe making and electronics, a bakery, a farm, a tree nursery and a water purification plant. An SOS Kindergarten belongs to the SOS Children's Village as well; it consists of four group rooms, a kitchen and a playground and has a capacity for up to 100 children. Primary and secondary school education for up to 1,320 students is offered at the SOS Hermann Gmeiner Primary and Secondary School, which comprises nineteen classrooms, a laboratory and a sewing room. Children who have already outgrown the SOS Children's Village move to the SOS Youth Facility, where they stay during their vocational training or higher education and prepare for an independent life. Three youth houses, one in Matundo, the second one in Matema and third one on the same premises as the SOS Children's Village Tete, constitute the SOS Youth Facility, where up to 72 youths can be accommodated. An SOS Social Centre was opened in April 2004, offering help to HIV/AIDS affected families in the area. The aim of this facility is to support and strengthen socially and economically disadvantaged families, avoiding their breakdown and in this way enabling the children to grow up with their biological relatives. It offers home-based care, supports several community kindergartens, runs nutrition programmes for between 100 and 120 children each, and runs a school placement programme. Additionally, capacity building and income generating activities are provided, as well as psycho-social support. Up to 2,000 children and their families receive support through this outreach programme. Another SOS Social Centre was set up in Kapaia in 2007, giving help and support to around 500 children.